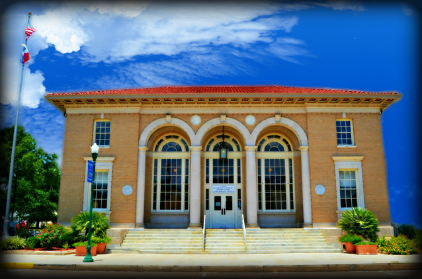 The Cuero Heritage Museum is a non profit organization. 100% of all contributions are used to support the museum. Please consult your tax advisor regarding eligible tax deductions. No goods or services can be provided, in whole or in part, in exchange for your contribution. To make a donation to The Cuero Heritage Museum please contact the museum. * Commemorating a special event, graduation, wedding, anniversary, promotion, or retirement, etc. We welcome your interest and your contribution to helping to build The Cuero Heritage Museum into one of the finest museums in Texas and we look forward to having you join our growing list of museum supporters. If you have questions, or would like to volunteer, please leave your name and contact information. We are working to raise money for major restoration projects of two antique fire trucks and addtional building restoration. Please click HERE to read details on each of these projects. We are presently accepting contributions and matching grants for each of these projects and hope that you will consider participating.